Looking to kick up your game with a tasty and healthy dip for Super Bowl? Have I got the perfect recipe for you! 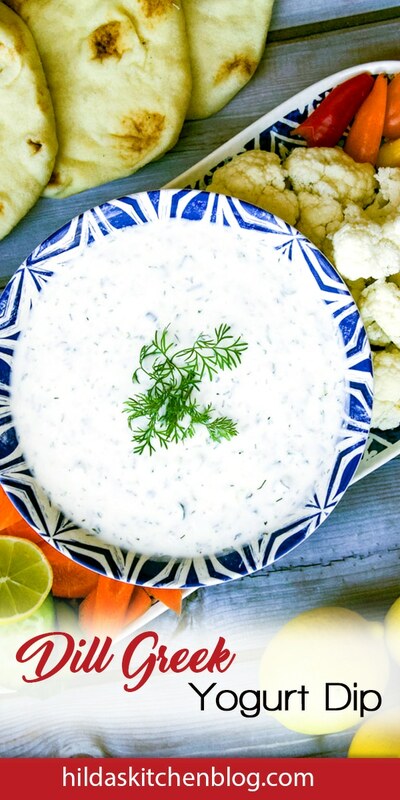 You’ll score big with this healthy Dill Dip For Veggies recipe. This versatile recipe can be served in many different ways. 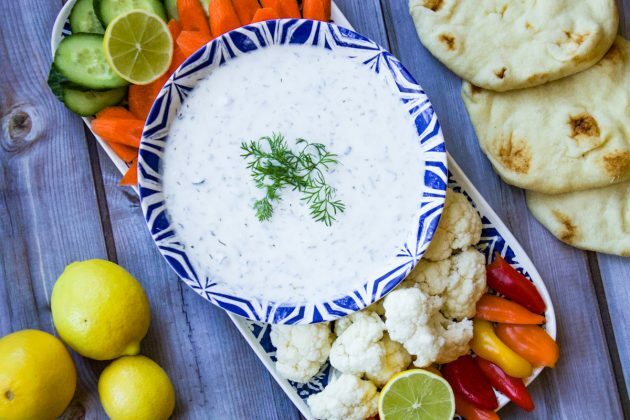 For instance, you can serve this yogurt dip with an assortment of chopped vegetables. Or, if you want to splurge a bit, you can serve it with pita chips; no one counts carbs on game day, right? Or maybe you plan on using it as a dressing, or as a dipping sauce for some hot wings? This sauce is also perfect to drizzle over falafel instead of tahini sauce. It’s really up to you; all those options are possible and more. Instead of enjoying this Dill Dip For Veggies, with veggies, as the name suggests, why not serve it with some bread instead. This makes a perfect and quick vegetarian meal. 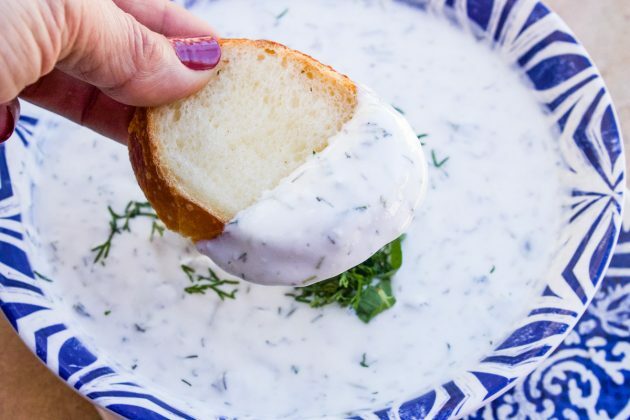 To make this Dill Greek Yogurt Dip, start off with plain yogurt, for example, my homemade yogurt recipe. Or you can just as easily use a good quality Greek or Middle Eastern yogurt. Just be sure to use plain or unflavored yogurt; I have on more than one occasion accidentally grabbed vanilla instead of plain. I suppose this is another good reason to make your own yogurt? Next, chop or mince the cucumber, scallions, fresh mint and dill, then mix in with the yogurt. Although some people add pepper, I don’t feel that it goes well in this recipe. However, do add salt, ranch seasoning, dill weed, and lemon juice. Another common ingredient in yogurt dip is garlic. Although I love garlic, I left it out of this recipe for the sake of my daughter. However, if you like garlic, one or two crushed cloves are a perfect addition. For other dip recipes check out the following recipes: Creamy Purslane Dip, Smoked Salmon Dip, Roasted Eggplant Dip, and Mexican Bean Dip. Do you Pinterest? Please pin and share this recipe! IF YOU LOVE THIS RECIPE, PLEASE GIVE IT 5 STARS! Enjoy this Dill Dip For Veggies with not only veggies, but pita chips too! Place yogurt in a bowl. Stir in the prepared vegetables and herbs. Add the remaining ingredients. Stir until combined and refrigerate until ready to serve.